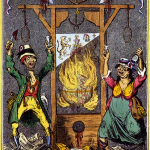 The French Revolution is probably the most widely studied revolution in human history. It unfolded in the late 1780s in a whirlwind of hope, promise and optimism. Inspired by the American Revolution and the political liberalism of the Enlightenment, the French revolutionaries dreamed of leading their country into progress and modernity. They made great progress, particularly in the spring and summer of 1789, forming a national assembly and passing numerous reforms. But the challenges of governing and unifying an increasingly divided nation provided too much. 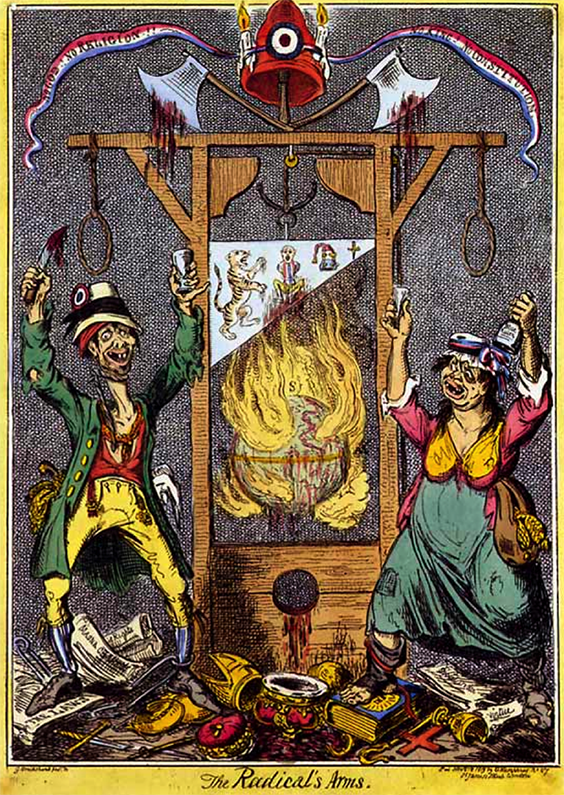 Within a few years, the French Revolution had disintegrated into lawlessness, mob action and state-sanctioned violence. This chaos peaked with the Reign of Terror (1793-94) when perceived enemies of the revolution were pursued, arrested and guillotined. Before the revolution, France was a powerhouse nation with a vast empire second only to that of Britain – but it was also wracked by internal problems. Decades of war, expansion and profligate spending had left France’s royal government almost bankrupt. The nation’s taxation system was notoriously lopsided, commoners carrying the tax burden while aristocrats and clergymen paid very little. France’s king, Louis XVI, was supposedly an absolutist monarch but his ability to push through reform was limited. France was a seedbed for radical and revolutionary sentiment. Aristocrats and wealthy bourgeoisie, kept at arm’s reach from power, wanted involvement and representation in government. Capitalists wanted a commercial system free of regulation and red tape. France’s townsfolk wanted a relaxation in food prices, which had been driven up by a succession of poor harvests. At the bottom of the social hierarchy, France’s peasants wanted freedom from feudal bonds and obligations. France’s first revolutionaries were members of the Estates General, a de facto national assembly that met in May 1789 to resolve the fiscal crisis. Inspired by liberalism and law, they sought to end royal absolutism and form a government with appropriate representation for all citizens. Their defiance was typified by the Tennis Court Oath, a pledge to remain united until France had its own constitution and permanent assembly. When rumours of a royal counter-revolution reached Paris in July 1789, Parisians responded by besieging and storming the notorious Bastille fortress. The taking of the Bastille had no real importance yet it reverberated across France, a sign that the people had risen up and thwarted royal power. In the weeks that followed the new regime made some fundamental changes, abolishing feudal dues, passing a declaration of individual rights and forming a new municipal government in Paris. France, it seemed, was moving into the modern world. From this point forth the revolution began to fail. The new regime fell victim to its own poor decision making and instability, coupled with dangers of war and outside pressure from political clubs and the Paris mob. The Civil Constitution of the Clergy in 1790 not only alienated the church, it led thousands of devout Catholics to abandon the revolution and take up arms against it. Exiled French nobles fled to foreign monarchies and agitated for war against France’s barbarous new rulers. By the autumn of 1792 Paris had slipped further into anarchy, following attacks on the king’s palace and the wholesale slaughter of prisoners. Moderate and radical republicans battled for control of the government, the radical Jacobins emerging victorious in mid-1793. Under the Jacobins and their complex figurehead, Maximilien Robespierre, France endured a year of state-sponsored violence called the Reign of Terror. It is this year, a time of fear and suspicion and arbitrary beheadings, that many associate with the revolution. Despite lasting just two decades, the French Revolution is an extraordinarily complex event. It involved dozens of different leaders and groups, and featured many significant events and turning points. Studying the revolution involves learning new concepts, many of them in another language. Yet for all its challenges the French Revolution is a rewarding field of study. It is a revolution alive with drama, mystique, colour, culture and human frailty. There is no better example of what drives people to revolution – and what causes revolutions to fail. Sieyes and What is the Third Estate?